Linda Little from Cecil Andrews Senior High School. 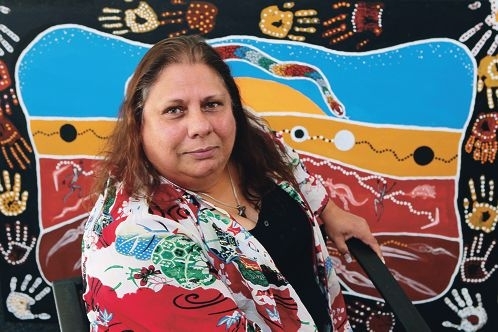 Her role is to ensure indigenous students keep up a good attendance record and stay engaged in school. She has achieved this through numerous school initiatives that give students a positive focus. Last year Mrs Little helped organise a trip to Germany so members of the Reconciliation Choir could showcase indigenous and non-indigenous music. To support the indigenous girls at the school, she started a netball program and fashion events which aimed to build their confidence. She also teaches Aboriginal studies to Year 8 students to encourage a greater knowledge and understanding of Noongar culture. Her commitment and dedication to the school has not gone unnoticed. Mrs Little was named as a finalist in the 2014 WA Education Awards in the Aboriginal and Islander Education Officer of the Year category. She was the only secondary school education officer to be nominated in the category. Despite her achievement, she insists she is just doing her job. ‘I love my job working with the staff, parents, kids and the community ” it’s all positive, there’s not a negative side to it. The most rewarding thing for me is seeing the kids graduate and knowing I’ve had a hand in it,’ she said. Deputy principal Stuart Jones said Mrs Little was an integral part of the school and had an excellent relationship with indigenous students and their families. ‘She works extremely hard and really goes above and beyond her call of duty for our school,’ he said. Award winners will be announced on December 1 at a presentation breakfast at Crown Perth.